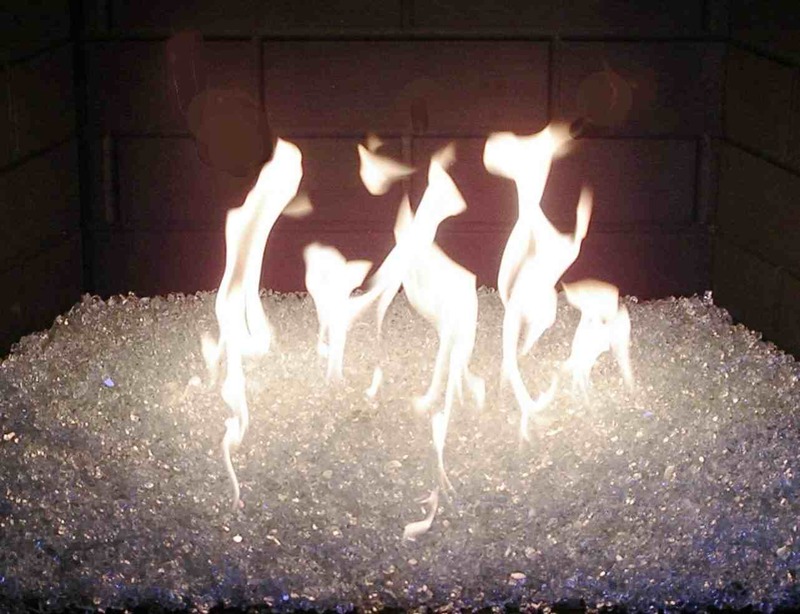 Fire glass is quickly becoming the most popular component used with your existing gas fireplace or gas fire pit. It's basically the modern day replacement for ceramic log sets or lava rock. Instead of the flames coming up through fake logs or lava rock, the glass gives the appearance of dancing flames on top of sparkling, multi colored pieces of broken glass. This colorful and vibrant display of sparkling flames is what makes using glass so popular. It's tempered glass that's manufactured in either small, broken shards or small rounded pebbles. The glass is tumbled and smoothed to eliminate any sharp edges and it's available in a variety of different colors. It's not just common glass found around your house or inside of a window. It's designed to tolerate high temperatures without the glass melting or becoming discolored. It's also resistant to soot, it won't pop, it won't smoke and it provides a constant flow of radiant heat. 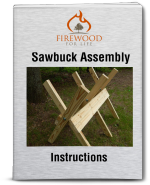 Most manufactures recommend between 2 to 4 inches deep inside your gas fireplace or gas fire pit. For larger applications like an outdoor fire pit, you can use cheeper lava rock on the bottom covered by about 2 inches of the glass to help save money. Since the glass will completely cover the lava rock, no one will know you're using the lava rock as a filler. The glass is typically sold by the pound so to determine how many pounds you will need simply measure the inside dimensions of your fireplace or fire pit. Nearly every manufacture has an easy to use calculator that will automatically determine how much glass you need to purchase in order to properly fill your space. Once you have the glass in place, simply hold a lighter over the glass and slowly turn on your propane or natural gas. The results……..a beautiful, modern day fire that's sure to attract attention. Use In A Wood Burning Fireplace? No, the glass is only designed to be used in a gas fireplace insert or a gas fire pit. You can not use it in a wood burning fireplace or wood burning fire pit unless it's been converted to natural gas or propane. Fire glass is a great way to turn an old, boring gas log set into a modern, colorful focal point in your home or backyard. It's relatively inexpensive, lasts forever and it's easy to install!